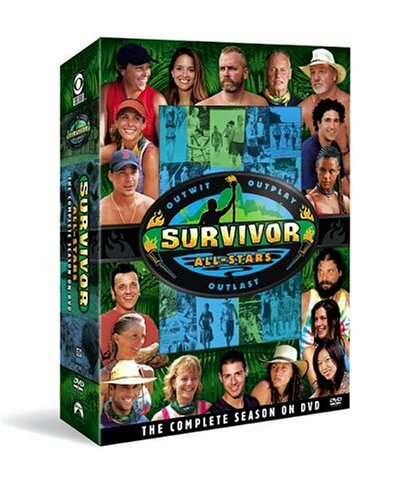 I have watched every season of the Survivor television show. I am not really sure why I watch that particular reality show every season because I avoid all of the other ones. Maybe it is because it was the first one. At the time Survivor season one aired, there was nothing like it on television. Its early success led to many spin-offs like Big Brother and the Amazing Race. I tried watching the Amazing Race one season, but I found it to have too many quick cuts to build drama when in actuality the producers were just playing with your mind. 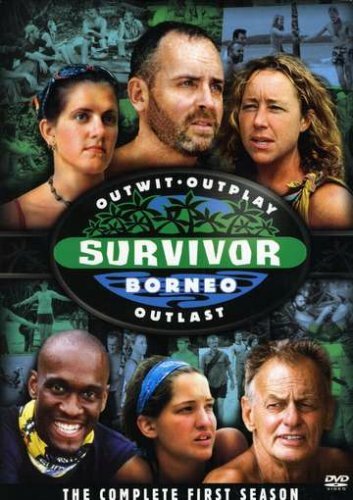 As Survivor’s latest season just finished, I have noticed the same mistakes being made by contestants. A lot of people get out there and lose their minds. I think there are several reasons for that which I will elaborate on later. However, it is as if some of the people that get on the show have never watched a season of it before. I know that is not the case, but still, they make some of the classic mistakes that get people voted off early time after time. I was watching a recent episode last month and a couple of people were losing their minds once again. It’s as if they forget that this will be played on national television at some point. And the worst part about it is that some of these people have respectable careers in the real world. The most recent season had a New York City cop and a lawyer on the show. I often wonder how their lives change when they go back home and have to watch these shows played 6 months after they were recorded. It has to be a shaming experience for most. Whenever I see one of them have a fit, I wonder how is that going to play with their colleagues watching back home. I have come to the conclusion that most players experience a form of temporary insanity while they are out there. I think the lack of food, the isolation and the monotony of life for weeks at a time causes just about everyone to briefly lose their minds and forget how to play Survivor. Think about how you get when you haven’t eaten in 6 or 7 hours. Now imagine having to sleep on bamboo and being rained on constantly, while you only get a cup of rice and maybe some other scraps of something throughout the day. Don’t underestimate the effect carbs and protein have on the brain. Whenever I have tried to cut my carbs to almost zero, I notice that after about 48 hours, I start to get moody and almost depressed. Carbs feed muscles and the brain. So I honestly think that a lot of the drama and odd behavior on the show can be attributed to lack of food and lack of rest. But all of that can be managed if you just keep a low profile. However, there are certain behaviors or qualities about you that will get you voted off sooner rather than later. Who wins survivor? Not these people. Without fail, whenever each season starts, there is always one person that sticks out too much, too soon. Perhaps it’s their own hubris, but the ones that step to the front and try to lead the tribe, barking out orders about building a shelter, a fire or whatever, do not usually ingratiate themselves with the rest of the players. After all, they just met this person and all of a sudden they are telling you what to do. Apply that to the real world. Imagine someone joined your team at work and they had the same job title as you, but then they started telling you what to do and how to do your job. It wouldn’t go over very well. But the egomaniacs seem to forget this real life experience when they get on the island. Their hubris convinces them that they are doing the right thing for the good of the tribe and everyone else is wrong. Those types don’t last very long. Almost without fail, these people are voted out early and often. They might make it to the point where they are put on the jury, however, they rarely make it to the final vote of 3. Call it the revenge of the nerds or whatever, but the rest of the non-brute, non-perfect baby dolls eventually gang up on them. I imagine there is some deeper high school revenge motive going on there. After all, these genetically blessed people don’t deserve to win the million dollars. They already won the genetic life lottery, so that wouldn’t be fair…. or so the reasoning goes. There have been a couple of male and female exceptions to this during the 27 seasons, but as a general rule, if you are a really attractive person, you are doomed from the start. And if you are attractive and young, you can forget it. There is a double bias against you from the rest of the players. If anyone ever finds out you have any amount of wealth outside of the game, you are out of there. Again, group reasoning suggests that you already won in life so why should you be rewarded once again. There have been several celebrities and former sports athletes go on the show, but none have done well enough to win. Some have managed to keep their identity concealed for a while, but as soon as the rest of the group discovers that they already had their limelight, it isn’t long before they are gone. Who is the most annoying person where you work? Probably the person that talks too loud or always has to say something in a meeting even though it is completely irrelevant to what is going on. Have you ever seen these cats talking on their cellphones in public? There is a discreet way to have a cell conversation and there is the “I’m the most important person here” way. The same applies to life on the island. At some point, the rest of the tribe gets tired of a loud mouth. These are the people that know everything, or go on and on about nothing to the point where the other people can’t get any rest. The only way these types ever make it down to anywhere near the top 5 is because the other players know that this particular individual is so annoying, they will never win a jury vote, so they keep them around. But they rarely get to the final jury vote. So How Do You Win Survivor? Keep your mouth shut and do what you are told in the first couple of weeks. Don’t come out as the grand mastermind of alliances or the leader of the tribe. Let others approach you to join their alliance and keep your options open. Second, develop a secret relationship with one other player, but don’t flaunt it. This is a mistake many guys make. They start following the hot girl around like a little puppy dog and before you know it, they are seen as a voting bloc threat. Third, look for hidden immunity idols from day 1 with or without a clue. Just don’t be obvious about it. Hidden immunity idols are always located near some distinguishing feature such as a large tree or rock, so start there. Fourth, talk to everyone. Ask about people’s lives back home. Ask about their families. It’s harder to stab someone in the back that has shown a genuine interest in you. Fifth, when it is time to make a big move, do it. You are there to win the game not make friends. However, there is one caveat to that. Don’t lose your self-respect. Don’t do or say anything that is going to make you hang your head in embarrassment when you are at home months later watching it on tv with family. Sixth, if you make it to the final jury vote, be humble. Admit you played a great game and give yourself credit, but also admit that the reason you are where you are and the jury is where they are is partially blind luck. Don’t throw it in their faces that you played a better game than they did and expect to get their vote. Seventh, during the opening arguments for the jury, have some prepared words in your mind to summarize why you deserve to be there. After all, if you can’t stick up for yourself coherently, why should the jury stick up for you. If you manage to do all of that and keep your sanity throughout, you have a much better chance of winning the game. And if you ever get chosen to be on the show, don’t forget…. people watch Survivor online or on tv back home, or they will six months later. You may not win the game but at least you can keep your self-respect. nice article, I enjoyed it a lot. I really enjoyed this article. Hey mjpyro, are you going on the show? Jeff, yes there are exceptions to the rules. Parvarti or whatever her name was, won it twice and she was pretty cute. As far as Colby goes, yes he could have won it, but that was season two and I would argue that his success taught contestants that followed to get rid of the handsome, charismatic, athletic types early so they don't dominate later. Again, there have been exceptions. Great Article and solid points... i also really like the references.